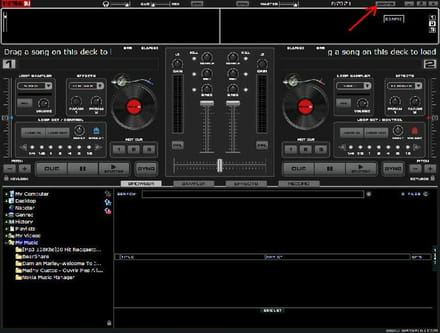 Virtual DJ is the software that is used for mixing two or more audio tracks. 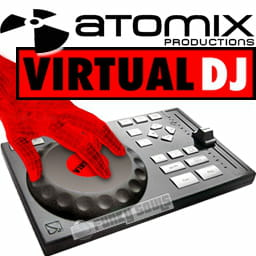 Virtual DJ can easily be downloaded from the official website. 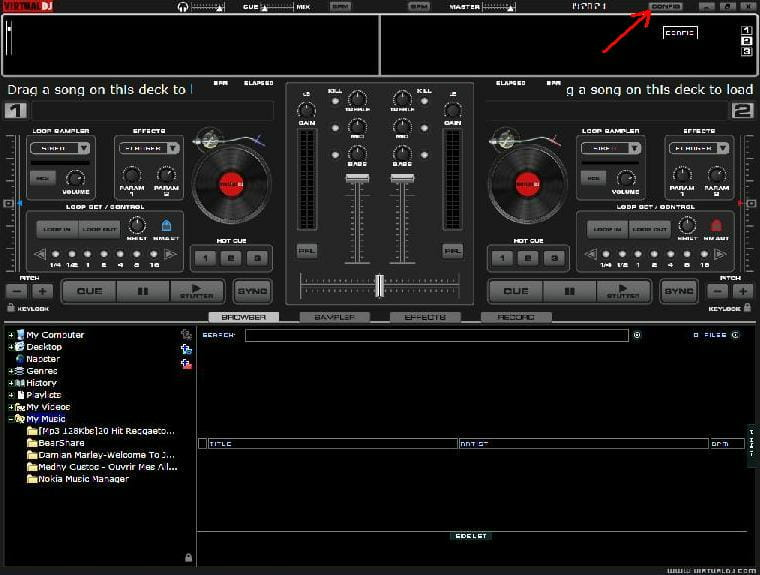 To mix on more than 2 decks one has to open multiple instances of the software. The exact number of instances to be opened depends on the numbers of decks to be mixed. The trick lies in changing the settings of each of the open instances so that they are synchronized with the other open ones. Once this is done you are ready to mix more than 2 decks and create your own mixed track of audio. In order to mix on 4 decks you will have to run Virtual DJ (VDJ) twice and for 6 decks open thrice, 8 decks open four times etc. Then open an instance of VDJ, wait until everything is loaded. Open another instance, and as many others as you want. Finally, keep an eye on your PC to make sure it is happy with the idea of having to manage software mixer 52 at the same time. So now, go to the options of an instance. 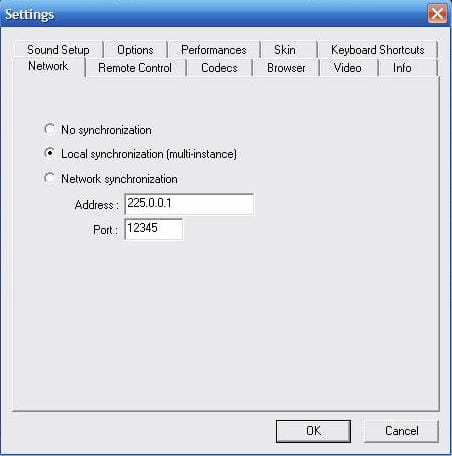 Click on the "Network" tab and select "Local synchronization (multi-instance)". Repeat the same procedure for the other instances. You can now start mixing. To synchronize with the music of another instances just click on synchronize. Please note that if you want to record, this can be done on only one instance. CONFIG and set the option "record from" (the very top) to LINE IN. Choose your sound card and put the entry on the place where the audience must hear the final sound. So with this method you will record everything from Line IN. Published by netty5. Latest update on November 8, 2012 at 12:51 PM by Jean-François Pillou. This document, titled "Virtual DJ - Mix on more than 2 decks," is available under the Creative Commons license. Any copy, reuse, or modification of the content should be sufficiently credited to CCM (https://ccm.net/).